Our comment: The proposed site for the new car park is greenfield, and in functional Flood Zone 3b. 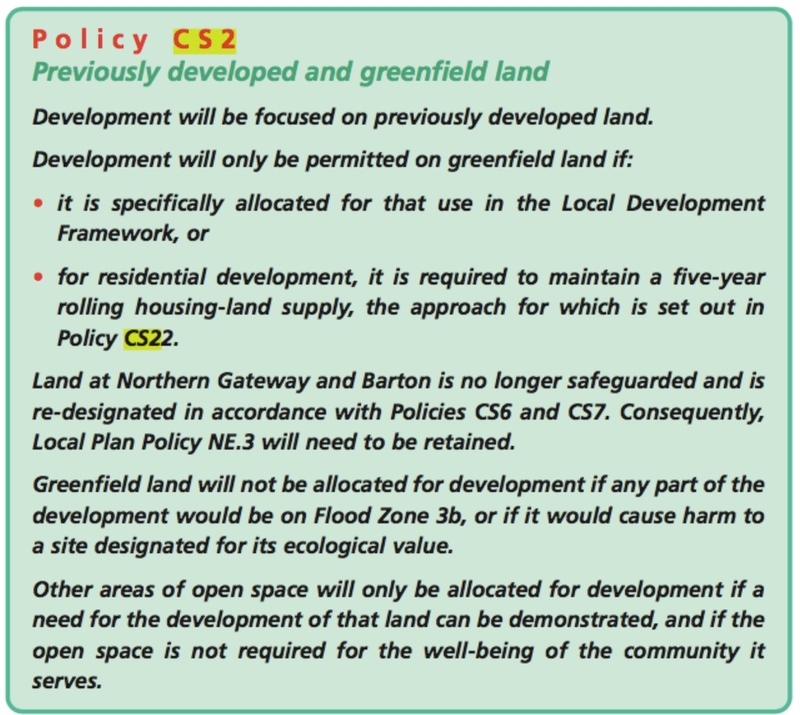 CS2 also says that ‘development will only be permitted on greenfield land if it is specifically allocated for that use in the [Oxford City Council’s] Local Development Framework’. Our comment: This site is not so allocated. Our comment: The proposed site is neither ‘water-compatible’ (a category intended for developments such as marinas), nor ‘essential infrastructure’ (which includes projects such as water treatment works, or roads which have to pass through a floodplain). In our view the position could not be clearer – this proposal is, in fact, precisely the kind of development that the Council’s own strategic planning policy is there to prevent.